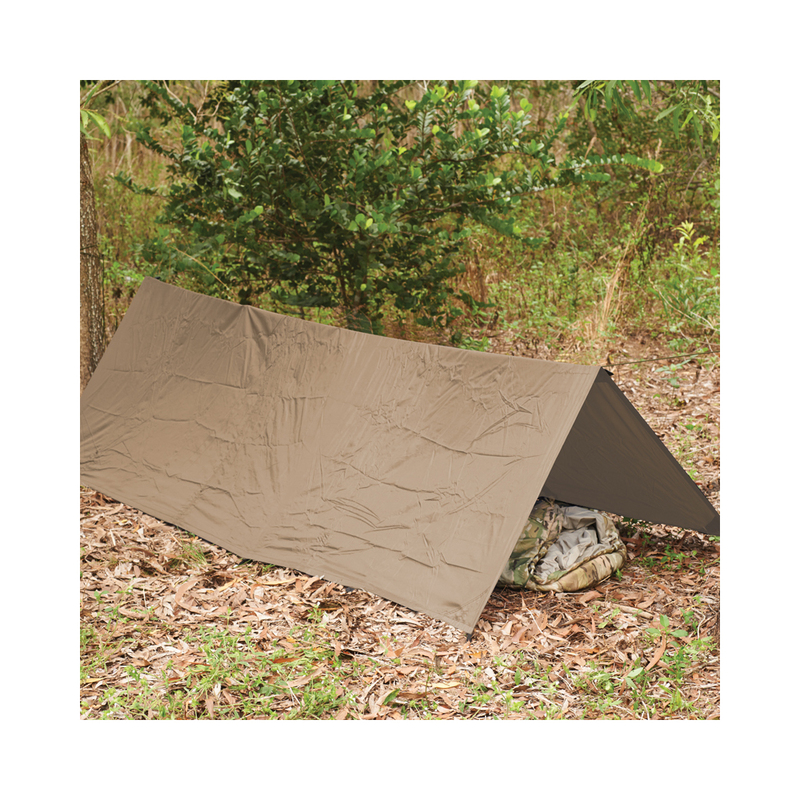 The Snugpak Stasha is a new and improved concept of the original British Basha and the very popular Snugpak All Weather Shelter. 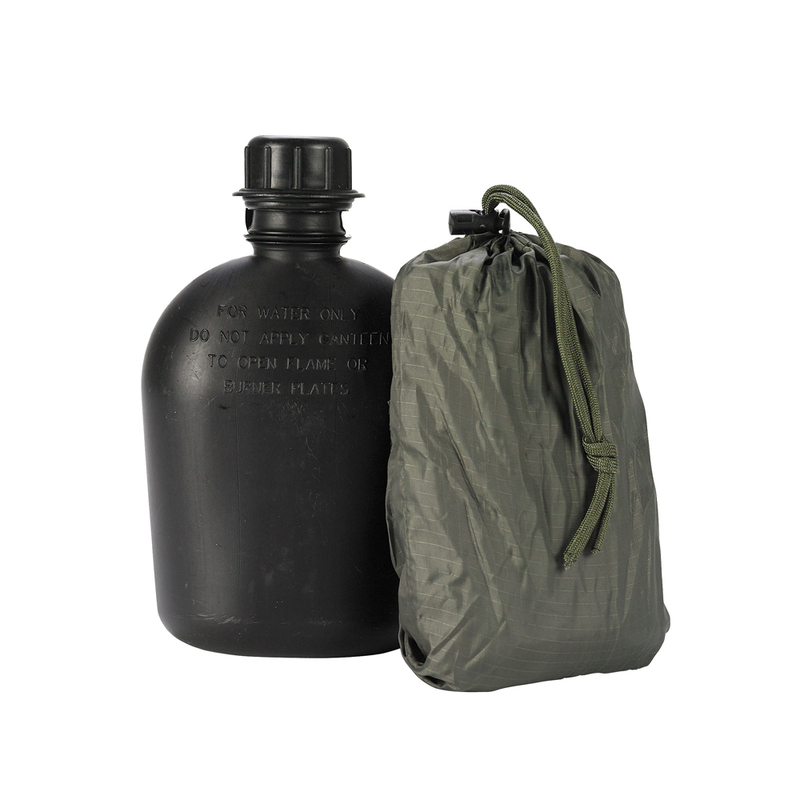 But unlike the bulkier British Basha and All Weather Shelter the Stasha was made with newer lighter weight materials so as to achieve its impressive pack size. 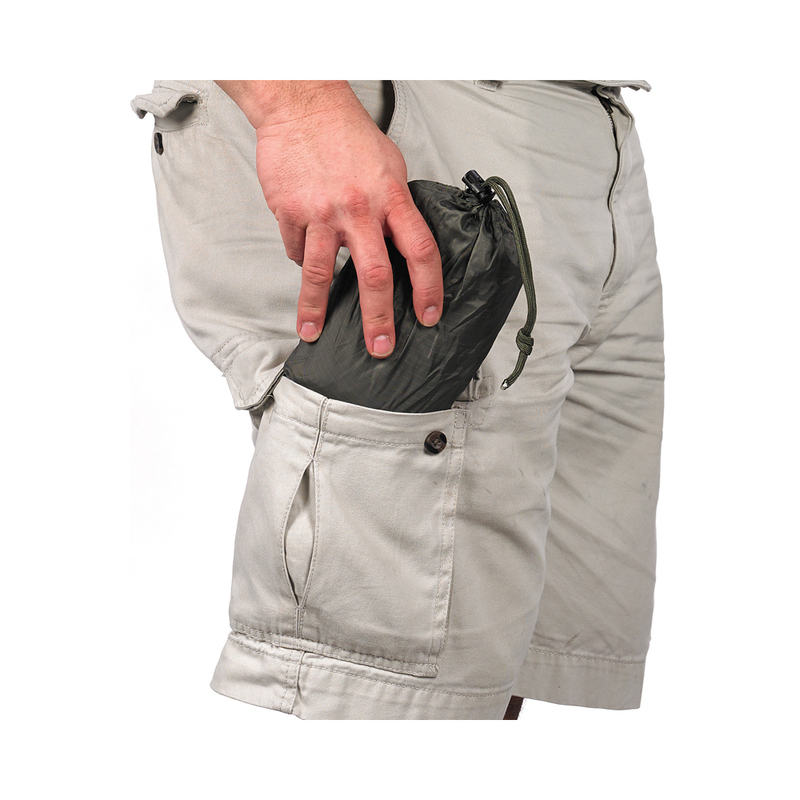 Because of its remarkable size it can be stashed away in a BDU cargo pants pocket, a backpack, a fanny pack, go bag and so on. 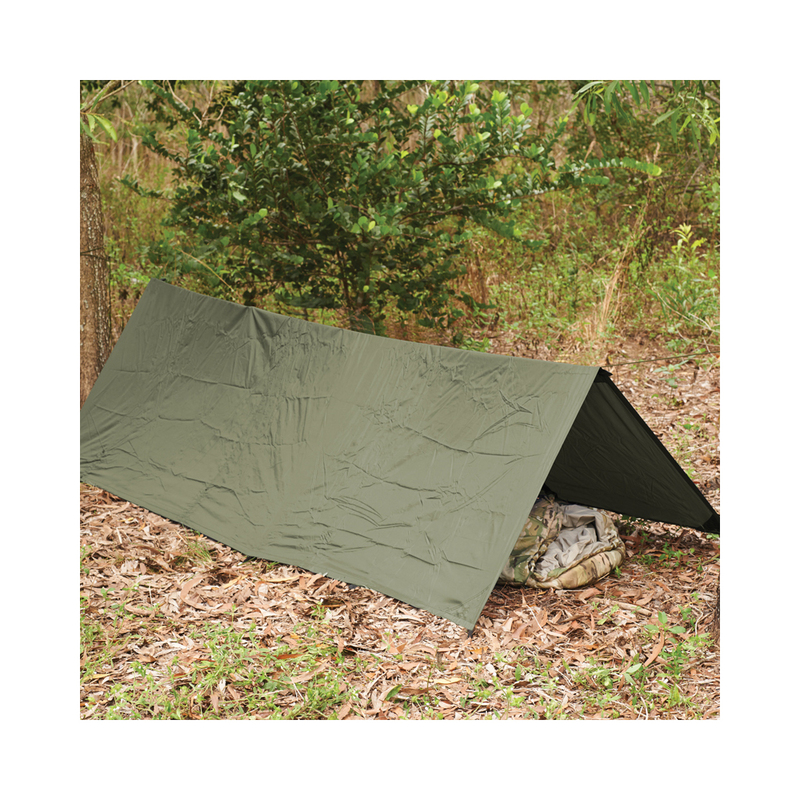 It is simply stated an improved, simple, effective shelter that will aid in protection from the elements. It has looped webbing and grommets in each corner so it can be staked out or attached with guy ropes, which are provided. It comes with 4 guy ropes to allow it to be configured a number of ways. Down two opposite sides are plastic snaps which can allow it to be folded and snapped together to make an improvised bivvi. It can also be used as an impromptu emergency shelter should the need arise. For the prepared person who doesn't want to get caught out in the elements.